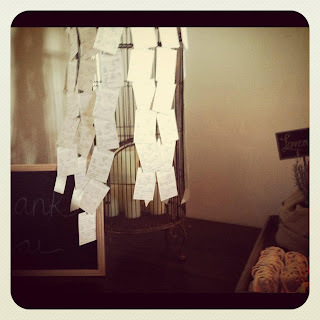 My gorgeous and dear friend Sarah recently got married and her wedding was amazing. I mean, truly stunning. Not as stunning as her, but pretty close! 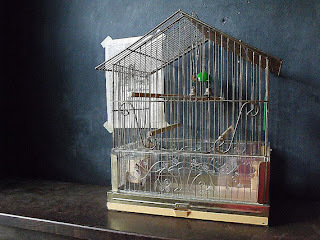 One of my favorite details was the bird cage next to the wedding favors. 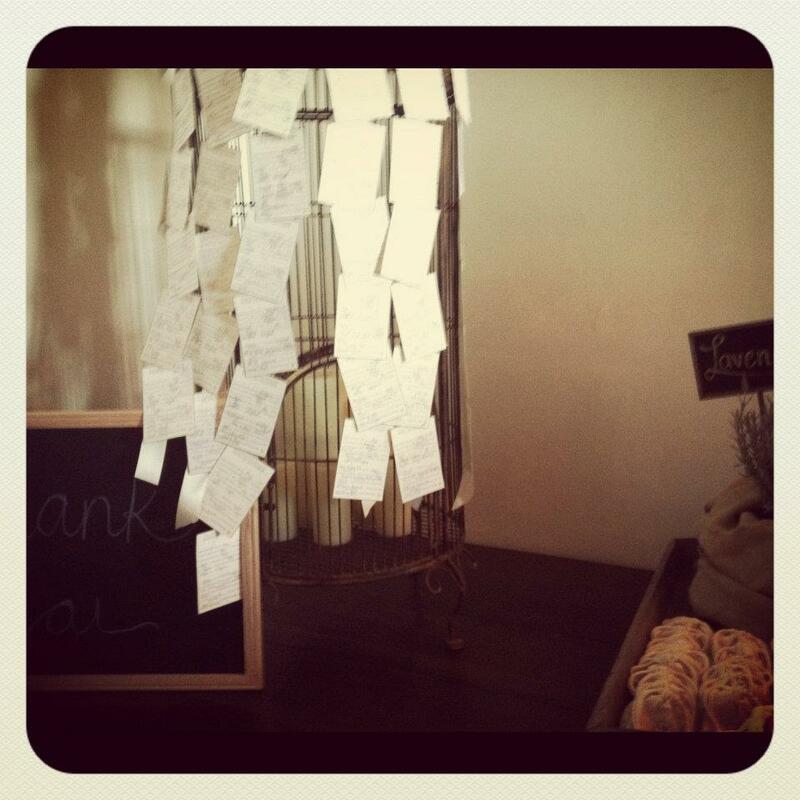 On the cage, she had hung the rsvp cards from all of the guests present, which had a little mad libs on it that we were to fill out before sending. Cut to - The Rhubarb Studio, such a fun blog, that has its own lovely Etsy shop, with a bird cage for $31! What a steal! As in - go get it before I do!